I added options trading to DivGro in June 2016 to leverage the equity in my portfolio and to generate more income. Combining dividend growth investing with options trading creates a nice "ecosystem". 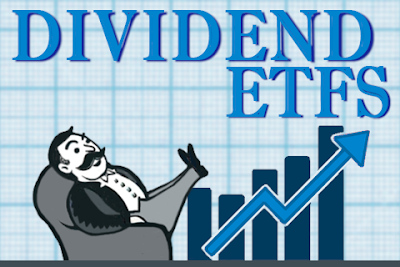 My portfolio produces dividend income and serves as collateral for a margin account that allows options trading. 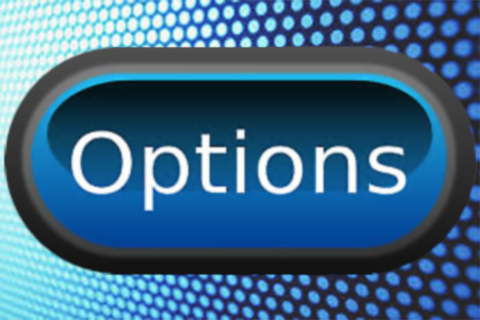 In turn, options trading produces options income that flows back into my account, allowing me to buy more dividend growth stocks. This covered call yields 2.73%, or 11.47% on an annualized basis. The yield on cost of my TSM position is 3.17%, so I'm boosting dividend income by a factor of 3.62. If the option is exercised, I'll sell 100 shares of TSM at a reduced cost basis of $40.19 per share, for a capital loss of 0.47%. For covered calls, I think an achievable goal is to earn double the dividend yield. The TSM covered call easily doubles the stock's dividend yield. This put option trade yields 3.69%, or 25.46% on an annualized basis. At $43.64 per share, IP yields 4.58%, so I'm boosting dividend income by a factor of 5.55. If the option is exercised, I'll buy 100 shares at a cost basis of $40.87 per share, a discount of 6.34%. This put option trade yields 1.26%, or 6.57% on an annualized basis. At $47.65 per share, XEL yields 3.19%, so I'm boosting dividend income by a factor of 2.06. If the options are exercised, I'll buy 200 shares at a cost basis of $44.40 per share, a discount of 6.82%. This put option trade yields 2.14%, or 22.30% on an annualized basis. At $53.73 per share, VZ yields 4.49%, so I'm boosting dividend income by a factor of 4.97. If the option is exercised, I'll buy 100 shares at a cost basis of $51.35 per share, a discount of 4.43%. This put option trade yields 1.24%, or 12.95% on an annualized basis. At $39.66 per share, TSM yields 3.31%, so I'm boosting dividend income by a factor of 3.92. If the options are exercised, I'll buy 200 shares at a cost basis of $35.49 per share, a discount of 10.51%. This put option trade yields 2.02%, or 10.56% on an annualized basis. At $39.51 per share, HRL yields 1.90%, so I'm boosting dividend income by a factor of 5.56. If the options are exercised, I'll buy 200 shares at a cost basis of $36.70 per share, a discount of 7.11%. This put option trade yields 2.84%, or 10.59% on an annualized basis. At $44.05 per share, HRL yields 2.36%, so I'm boosting dividend income by a factor of 4.49. If the options are exercised, I'll buy 200 shares at a cost basis of $41.23 per share, a discount of 6.40%. This put option trade yields 1.61%, or 13.07% on an annualized basis. At $18.61 per share, FLO yields 3.87%, so I'm boosting dividend income by a factor of 3.38. If the options are exercised, I'll buy 500 shares at a cost basis of $17.20 per share, a discount of 7.58%. This put option trade yields 6.58%, or 53.44% on an annualized basis. At $47.08 per share, FL yields 2.93%, so I'm boosting dividend income by a factor of 18.23. If the options are exercised, I'll buy 200 shares at a cost basis of $46.90 per share, a discount of 0.38%. For selling puts, I like to see a dividend boost factor of 5.00 or more unless I can buy shares at a discount of at least 10%. The put options trades on IP, VZ, TSM, HRL, and FL match my standard, but those on XEL, AFL and FLO do not. The market has become quite volatile, providing a good opportunity to sell expensive premiums. The trade generated a net credit of nearly $3.90 per share or about 35% of margin requirement. By selling the puts I'm accepting the potential obligation to buy shares of SBUX at $55 if the stock trades for less on 17 January 2020. Because I executed two spread trades, my potential obligation totals $11,000. Buying the call gives me the right (but not the obligation) to buy SBUX at $75 per share on or before 17 January 2020. If SBUX trades for less than $55 per share at expiration, the calls would expire worthless. The puts would be exercised and I'll have to buy 200 SBUX shares for $55 per share. Accounting for the $3.90-per-share net credit, I would own SBUX for a net cost of $51.10 per share. That's roughly 9% less than SBUX's closing price on 12 October of $56.45. If SBUX trades between $55 and $75 per share, both options would expire worthless and I would retain the $3.90 per-share premium for a return on margin of about 35%. That works out to an annualized return of about 26% through options expiration. If SBUX trades for more than $75 per share before expiration, I'll could exercise the call and buy SBUX at the $75 strike price, and immediately sell those shares for a profit. For example, if SBUX trades at $85 per share, I would make a profit of $10 per share on top of the net credit of $3.90 per share, for a total profit of $13.90 per share. That represents a return on margin of 126%. I'm looking forward to seeing how this trade turns out! October was a great month and, as far as secured options income is secured, I'm back in positive territory for 2018! My year-end target for secured options income is $23,420. With $16,044 in options income secured, I need to secure another $7,376 in November and December.